For decades, the Wellington in Crescent Beach has been a favorite resort in North Myrtle Beach for both location and luxury. Located on famous Ocean Boulevard, the Wellington offers gorgeous 2 and 3 bedroom condominiums on the fabulous Grand Strand. Guests will enjoy designer furnished condos equipped with spacious rooms, washers and dryers, and full sized kitchens. The 2 bedroom accommodations also come with a bonus Bahama Room with two single beds, perfect for children. Take advantage of panoramic oceanfront views from sizeable private balconies, accessible from both the living room and master bedroom in select condos. Guests will further enhance their beach experience with ample resort amenities provided by a large oceanfront pool, sun deck, and grilling area, all just footsteps from the ocean. The highly sought after Crescent Beach section of North Myrtle Beach offers guests not only an incredible beach front, but is also within minutes from the renowned shopping and dining of famous Barefoot Landing to the South, and all the action of Main Street to the North. 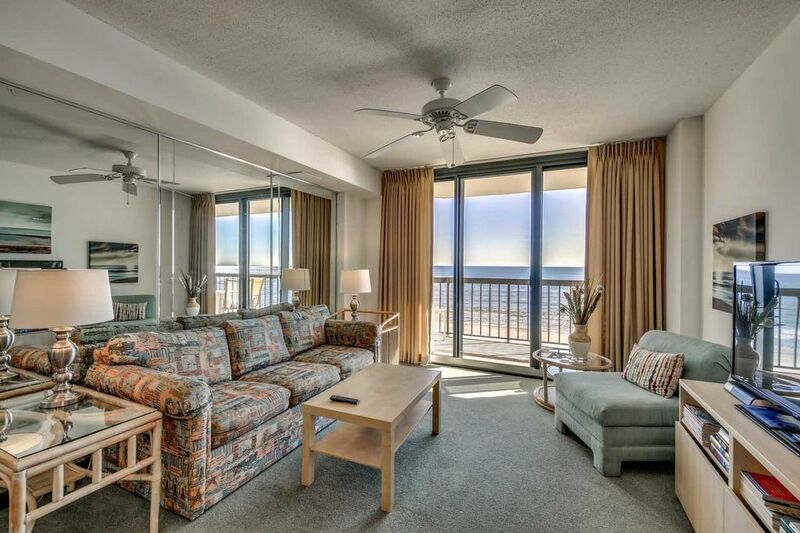 For an exceptional vacation in North Myrtle Beach, we highly recommend the Wellington.